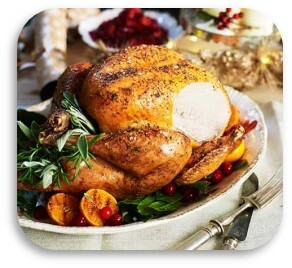 Have a Stress Free Christmas Dinner! Christmas morning tends to be a hectic time in most households. 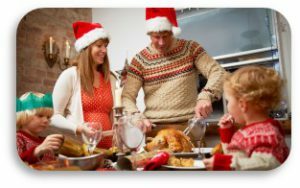 Parents are woken up early by excitable young ones keen to open their presents and then begins the task of cooking a tasty Christmas Dinner. After all of the presents have been opened and ripped wrapping paper has been tidied away it can sometimes feel that there just isn't enough time to cook a delicious Christmas Dinner. To help you prepare for your Christmas Dinner and make it as stress free as possible we’ve come up with five top tips! Check them out below…. 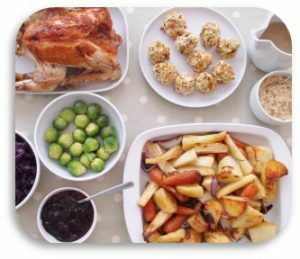 Make your stuffing – if you’re using a packet mix or cooking from scratch, make up your stuffing the day before and store un-cooked or cooked in the fridge. Cooking the day before means that you only need to pop it in the oven to warm it up saving valuable oven space on the day! Bread sauce- if you love a bit of bread sauce with your Christmas Dinner, make it in advance. Bread sauce can keep in the fridge for a couple of days and even longer when frozen. Yorkshire puddings – if you’re making homemade Yorkshire puddings you can whip up the batter the day before and store in the fridge or even cook and then freeze. If you freeze them, they will only need 5-10mins in the oven on the day. Get the children involved – there’s lots of things children can be doing to help out whether that is simply laying the table, being the time keeper and notifying you when the potatoes need to go on boil or helping you make the trifle…there’s plenty of jobs! If you have any tips yourself to save precious time on Christmas day, tweet us @loveschoolmeals and let us know!